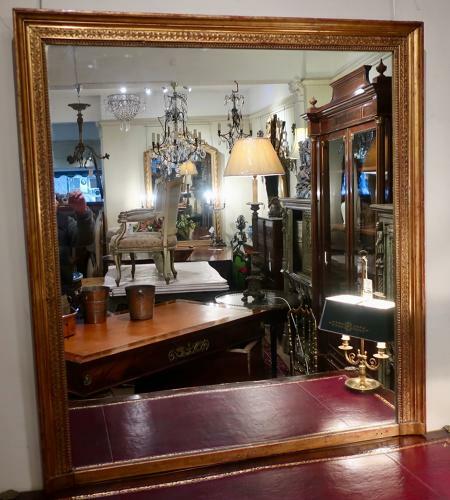 A large and wide French gilt mirror from the Restauration period. With original old mirror plate, good original colour to the slightly rubbed gilt giving a very attractive appearance . Always difficult to find mirrors of these dimensions.